cnc router diy - Roctech Machinery: How does laser CNC Router do anti fake ? 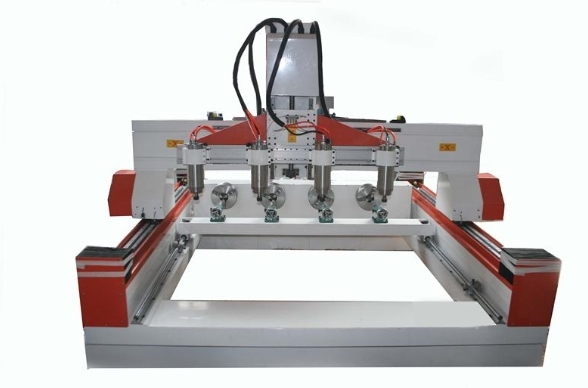 In recent years, with the development of science and technology, laser CNC Router to work from any graphical limitations, does not produce any mechanical deformation, high precision, fast speed, no edges and good quality welcomed by enterprises. Laser processing using contactless thermal processing methods, focusing, irradiation facula slender hit San area is small, the processing quality. In addition, laser processing than traditional processing methods also have accurate, fast, simple operation, high efficiency, new style, high degree of automation and obvious advantages. Why does laser CNC Router can fake it? One is that the technology has the non forgery, the manual imitation is very difficult; the two is very easy to computer typesetting in many anti-counterfeiting measures through laser CNC Router reflected. This is the biggest advantage that distinguishes it from other technological approaches. For example, CNC Router bar code, code, markings, do not repeat the dot matrix, chart, patterns, etc. ; the third is easy to computer archive, the establishment of the archives of the seal, seals easily by computer image recognition and archives in the sample chapter comparison and identification. Laser technology and computer technology are the leading edge of contemporary science and technology. Computer typesetting, greatly improving the seal technology level and production speed, and laser CNC Router has been successfully replaced plate molding, manual and tool photoelectric tracking method, caused widespread concern of the relevant departments and experts.